Setagaya Ward Hanegi. A rare location with the convenience and environment within walking distance of the Ming University. Even under the construction restrictions of the site, the shape as it is earnestly acquired the maximum volume to secure the cost performance is straightly reflected in the sectional view. It is a crystal of design technology. 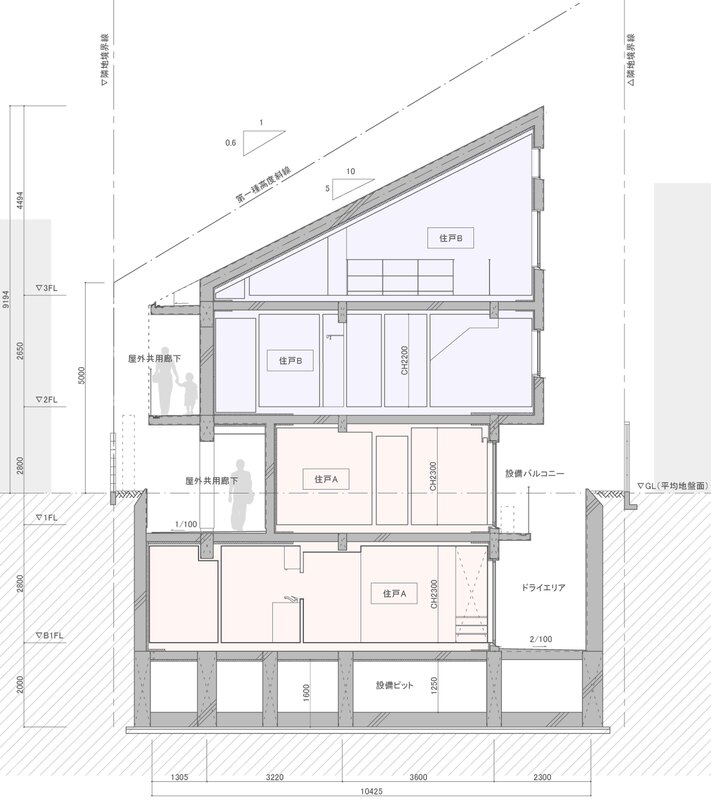 The dry area that brings the light into the basement and the half-flowing roof full of diagonal lines float from the GL like a large wing, and it is the façade. 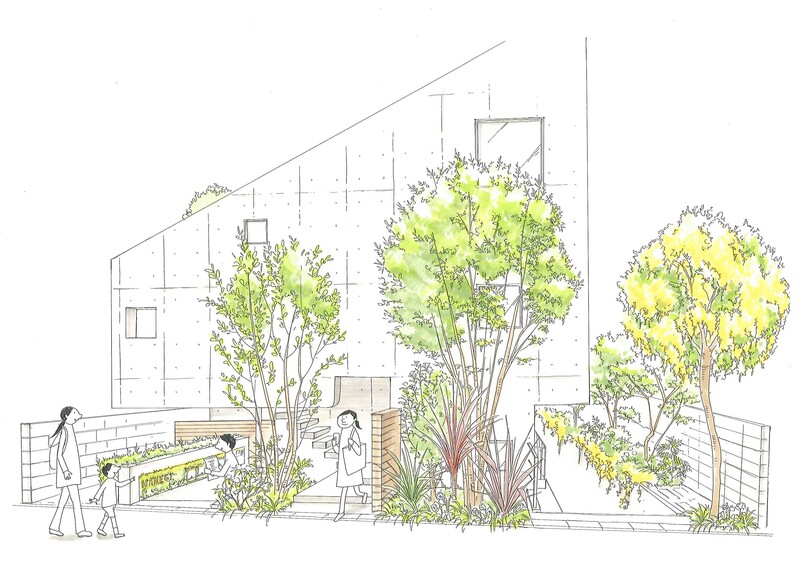 The leading edge of the retaining wall receded from the site line is squeezed out and the design is full of green against the dry area, and the wing-shaped facade and the front tree are integrated and the city and green are connected in the depth direction. 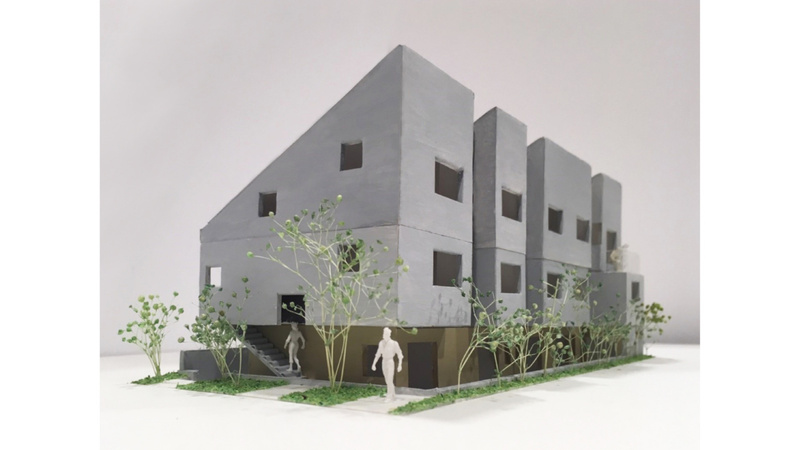 There are two entrances in the façade that approach the common corridor on the first floor and the second floor because of the plan format where the basement floor and the second floor, the second and third floors, and the residential unit of the maisonette type are stacked. 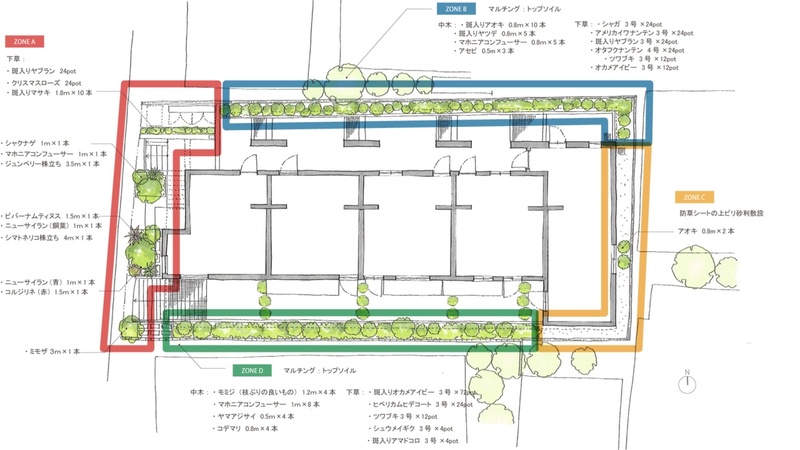 In order to secure a large amount of green as much as possible between the entrances, except for the three flow lines that add the evacuation stairs approach in the underground dry area, all of them are planted, and the mixture of these leads to the relationship between town and architecture. It makes me gentle.